This is my 6 year old son Braxton's costume. 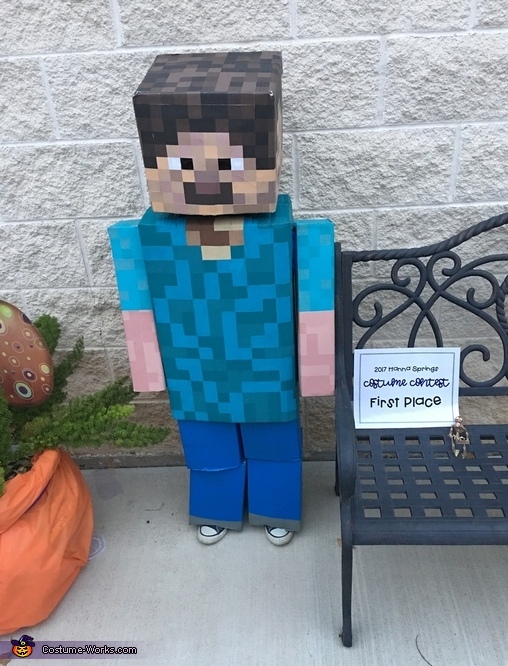 He loves the Minecraft video game and didn't want to be anything other then Minecraft Steve this year. His costume is made completely out of cardboard boxes that were made custom for his size and then hand painted (body and legs) and print outs on the head and arms.